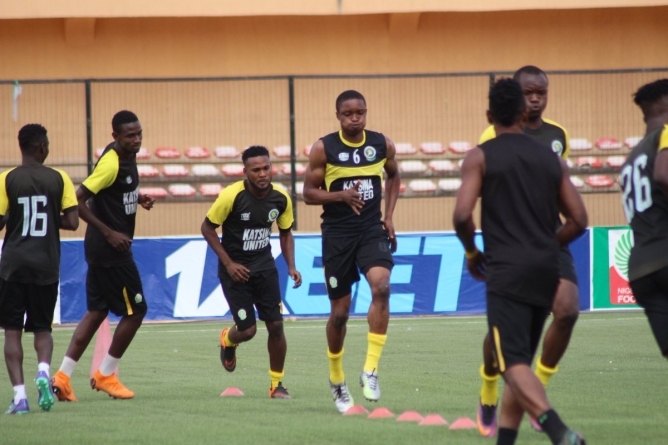 A controversial first half penalty set the tone at the Mohammadu Dikko Stadium as Katsina United defeated Rivers United 2-1 in the Nigeria Professional Football League (NPFL) on Sunday. “I still don’t understand why the referee awarded that penalty,” the Rivers United technical manager, Stanley Eguma told the club’s official website, www.riversunitedfc.com.ng. The Port Harcourt club deservedly halved the deficit in the 68th minute with a goal of the very highest quality as a brilliant passing move carved open the Katsina United back line like a hot knif through butter. Rivers United’s best player on the day, Cletus Emotan then took his time to pick his spot, finishing off in cold blooded fashion fron eight yards to send the nerves jangling among the home faithful.